A is for Ally, B is for Bisexual, C is for Cisgender. 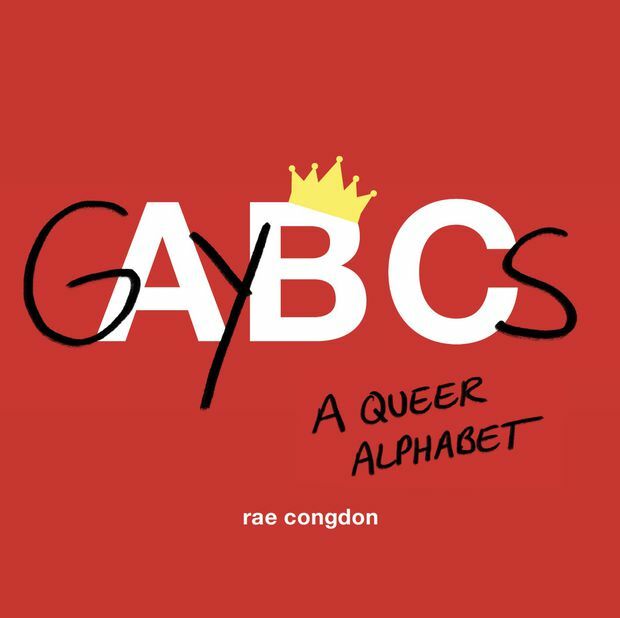 And so it goes in graphic designer Rae Congdon’s 26-letter-strong picture book, GAYBCs: A Queer Alphabet (Greystone Books). Consider it a beginner’s guide to common LGBTQ+ terminology, although cheekily graffitied atop a children’s alphabet book and accompanied by pithy explanations. A was for Apple, B for Ball, C for Chick – and Q most certainly gets its moment in the spotlight. Congdon’s motivation for the book is simple enough for a grade-schooler to understand (although the intended audience is most definitely not grade-schoolers): These are words as simple as your ABCs, and they should be part of our everyday vocabulary. If there are any heteronormative (or “Hat,” underneath Congdon’s edit) hesitations about the contents, perhaps one can be moved by charity. A portion of the book’s proceeds will go to the Rainbow Railroad, a Canadian non-profit organization focused on aiding LGBTQ+ individuals around the world.